- Dental Prescribing has been updated to reflect recent changes to the recommended adult dose of metronidazole. - The prescribing information is now up to date with BNF 73 (March 2017) and BNFC 2016-17. The Dental Prescribing app brings SDCEP’s popular Drug Prescribing For Dentistry guidance to your mobile device. A key feature is the inclusion of direct links to the BNF website for drug interaction information. 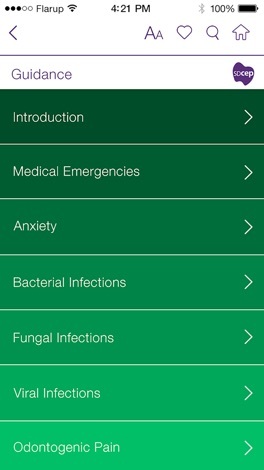 The app aims to facilitate drug prescribing within primary care dental practice. Dental Prescribing provides advice on the management of a range of dental conditions for both adults and children. This includes local measures and drug prescriptions that are based on the latest editions of the BNF and BNFC. 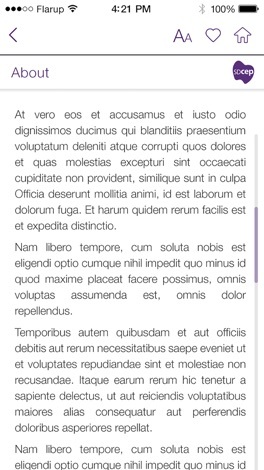 Information on the management of medical emergencies is also provided, including drug administration. 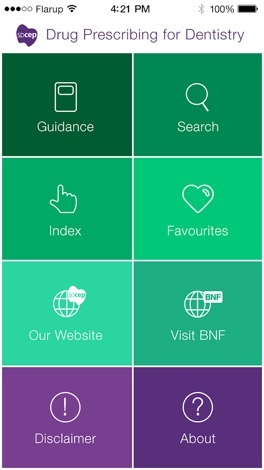 This app includes a search function, favourites and direct links to the BNF for drug interaction information. SDCEP will review each new edition of the BNF and BNFC and will include any necessary changes within Dental Prescribing as a free update. The Scottish Dental Clinical Effectiveness Programme (SDCEP) is an initiative of the National Dental Advisory Committee and operates within NHS Education for Scotland. The programme aims to provide user-friendly, evidence-based guidance on topics identified as priorities for oral health care.